While the race for the first truly democratically elected Egyptian president following the January 25th revolution has yet to officially start, a number of potential candidates seem to have already attained frontrunner status. And Abdelmonem Abol Fotoh is one of them. A prominent longstanding member of the Muslim Brotherhood, his announced candidacy went against the Brotherhood’s decision not to field a Presidential candidate and led to his expulsion from the organisation. Rather than dim his prospects for success, his ousting seems to have enhanced them by highlighting his independence and his moderate religious views. In these challenging times in an ever-changing political landscape, eniGma’s contributor Dr. Tamer Fawzy sat down with Abol Fotoh to understand his long journey leading up to this extraordinary moment in Egypt’s history. 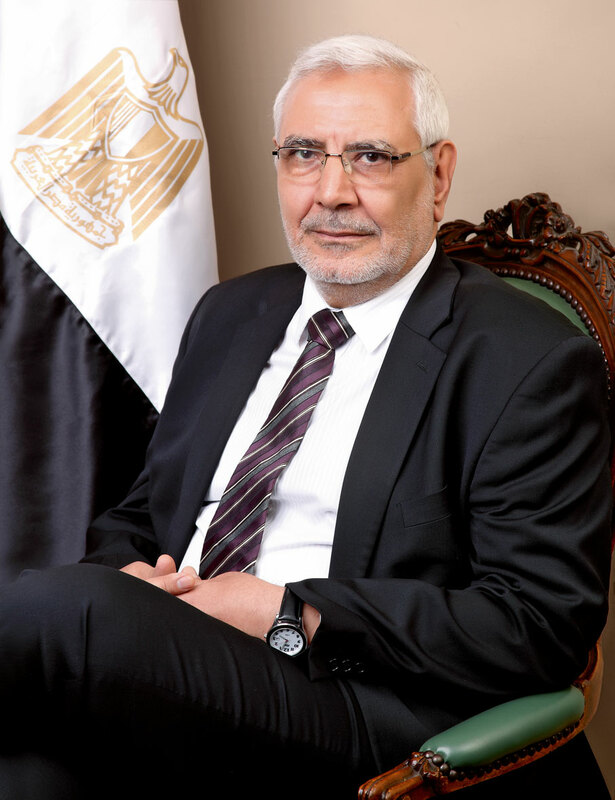 Dr. Abol Fotoh graduated from Cairo University’s School of Medicine in 1976. In his time at university, he was an active member of the student body and served as President of the Student Union in 1975. During his tenure as president, Abol Fotoh famously debated President Sadat and questioned his choice of advisors on live television. He was also instrumental in facilitating the entrance of small Islamic organisations into the Muslim Brotherhood. Abol Fotoh boasts an active political history and has been arrested twice for his involvement with the Muslim Brotherhood and once for insisting to deliver medical care to the Gaza strip with fellow members of the Arab Doctors’ Union. These trials and tribulations were not in vain, as each experience helped shape who he is; both as a politician and as a human being. Looking back, Abol Fotoh considers himself part of the 1950’s generation shaped by President Nasser’s July 1952 revolution. That generation’s dreams were shattered in June 1967, when Egypt suffered a dramatic military defeat by Israel in a war that lasted only five days. Our interview begins by finding out how this painful national experience formed Abol Fotoh’s politics. Dr. Abol Fotoh, let’s start from 1967. Tell us a bit about yourself and what you went through at the time. After the 1952 revolution we lived the hopes, ambitions and beautiful dream Gamal Abdel Nasser inspired in the youth of the time. This dream included the High Dam, the creation of new factories and the belief we’d have a very simple war with Israel to free Palestine. All of these beautiful things were truly believed by our generation. However, this dream was shattered with the 1967 war. It was really a defeat for the political regime, not the Egyptian army, which didn’t get to fight. I was in high school at the time, and like all Egyptians – particularly the young generation – I started to search for the reasons for our defeat and what led to it. It was only natural that many started to look to God for answers. Especially, since there was already a clash between the government and Islamic organisations in general; both Muslims and Christians turned to God. Egyptians also realised they had a right to criticise their leader and not be at his mercy. So I was attracted to the demonstrations that took place, as we were refusing the defeat by Israel and demanding to know who caused it to hold them accountable. Were you politically active throughout university? I enrolled in university at the end of the ‘60s and continued to be politically active, but together with other colleagues, I moved in an Islamic direction. This period is covered in the first part of my autobiography which is already published. It contains information about the Islamic organisations of the time and how they evolved. There was a famous incident between you and President Sadat while you were President of the Students’ Union at Cairo University. You criticised him and his advisors. Was this spontaneous or did you plan for it to happen? We went to meet President Sadat, and I must admit the late president was very spontaneous in his meetings with us; this wasn’t even his first meeting with Egyptian students. Unlike what happened with former President Mubarak, they didn’t give us specific questions to ask or force us to speak or not speak. The difference between this meeting and previous meetings was that it was broadcast live on television. The meeting was held in the president’s rest house in Alkanater, not in Cairo University, as portrayed by the late Ahmed Zaki in the movie on Sadat. Other than the president, the vice president and the minister of education, we were the only ones in attendance. Because we already knew we would be meeting President Sadat, I had prepared some points and thoughts, including the little part which I said before the president discontinued the meeting. (The young Abol Fotoh brashly criticised the president for his choice of advisors on live TV. In those days, no one dared to address the president with anything other than hypocritical words of praise). Not everyone understands that this was very hard for me. But anyone who makes a sacrifice for his country must understand that he will pay the price. But God repays. Although this wasn’t the only price I paid. That wasn’t the first time I was detained. I was first arrested in September 1981, during the time of President Sadat. That was part of the wholesale arrest of Sadat’s political opponents. What were the circumstances of your arrest in 1996? It was part of a pattern of arrests that occurred during former President Mubarak’s regime. Every now and then they would arrest members of the Muslim Brotherhood and their leaders for two, three or six months. As the regime became more corrupt and cruel, they began to subject those arrested to military trials; the months of arrest turned into years. This was the first time since the Nasser era that military trials for Muslim Brotherhood members were conducted. What was the accusation leveled against you? The accusation was that we were members of the Muslim Brotherhood. I spent five years in prison and the 62 detainees who were with me spent three years. But in their own way, they were beautiful years, as we spent them praying and re-arranging our thoughts about the conditions of our country. Your third arrest was in 2009. Was it related to your role in the Arab Doctors’ Union Relief Committee for Gaza? The third time I was arrested, I was detained for six months at the end of 2009. It wasn’t part of the usual routine of arresting Muslim Brotherhood leaders. It was because of the Arab Doctors’ Union stance towards the Zionist attacks on Gaza in 2008. Especially our insistence that Arab doctors should enter the Gaza strip. We were led by Dr. Mohammed Ghoneim, the renowned liver specialist, who sat on the pavement at the Rafah border entrance and swore not to leave until they sent medical help to the injured. This resistance then led to my arrest. Let’s talk about your relationship with the Muslim Brotherhood. Why did you resign from their Guidance Bureau, the executive arm of the organisation? The reason behind my resignation was my request to modify the regulations governing the membership of the Guidance Bureau. My view was that a maximum of eight years for any member in the Bureau was enough. We can’t tell the Egyptian people that the country should change presidents and give youth a chance if we are not doing the same! On the whole there were more than 13 members who had been in the Bureau for more than eight years. I personally had spent the second longest period in the Bureau, 23 years… Mohamed Habib, also no longer a member of the organisation, had spent 24 years, and there were others with 15 and 16 years to their name. That’s why I requested that those who spent more than eight years should step down before the 2010 elections. But my request was denied, and so I resigned. In the end, I applied my suggestion to myself, even though I was unable to impose it on anyone else. I had previously demanded legalising the organisation. I always asked and insisted that the Muslim Brotherhood should become a civil society organisation under the law, as it was before the 1952 revolution. Do you think these two positions on the workings of the organisation played a part in your suspension from the Muslim Brotherhood when you became a candidate for the presidential elections? Five years ago, I insisted on the importance of separating the group’s preaching role from its political role. The Muslim Brotherhood must remain an organisation focused on social and educational activities. Those from the Muslim Brotherhood who want to compete in the elections can compete by participating in a political party or as independent candidates. During the revolution, when I first considered participating in the presidential elections, I announced that if I decided to participate, I wouldn’t do that on behalf of the Muslim Brotherhood. I would resign from the group to emphasise the separation between the group and the elections. So I had already planned to leave before they decided to suspend my membership, due to my intention to run for president. Let’s talk about your campaign for president. How many volunteers do you have and how do you finance your campaign? What are some of the highlights of your program as a presidential candidate? I believe the reason behind the leadership crisis in Egypt is that our leadership has lost the ability to maintain the independence of Egypt’s national security decisions. It subsumed the Egyptian national interest to those of foreign powers outside Egypt. I believe that with God’s blessings and my 41 years of work in the public and political fields, I have the ability to be an independent president. The Egyptian president must have two main characteristics: First, he must be flexible on issues of religion, because the Egyptian people are all religious. Muslims, Christians, liberals, leftists – they’re all religious. The president mustn’t be against any religion. Second, he must have the ability to maintain the country’s safety and independence. There are two main pillars in our program. The first is to strengthen freedom, democracy and respect for human rights; especially individual rights, which many people are afraid to lose. The second pillar is to make Egypt a country in which all people are treated equally under the law. This will be achieved by the independence of the judicial system. Once these pillars are achieved, we will start a development project based on the importance of education and scientific research. We need to re-evaluate the educational programs and the culture surrounding education in this country. Professional education is very important for Egypt’s revival, but it doesn’t get much respect. In a developing country like Egypt, professional education must become the most important branch of education. I hope we can achieve this in our program. We will keep education free for all, as it is a basic human right, like the right to live and the right to medical care. These are basic human rights and we can’t deprive a citizen from his basic rights. Since you are coming from the Muslim Brotherhood, there are concerns about your views on tourism and that you may narrow the freedoms of tourists. As a country we are a failure in tourism. The previous system failed in this industry. People think we have succeeded in tourism but we haven’t. With 75% of the world’s monuments and our beautiful beaches and sunshine, the number of annual tourists is only 12 million. This must be considered a failure when we compare that to a small country like Tunisia, which receives 20 million tourists annually. Our plan is to increase that number to 100 million per year. We will announce a specific plan to achieve this when we release our program. The absence of local tourism is also part of our crisis. When you go to a city like Sharm El Sheikh, you’ll find that 90 to 95 % of tourists are foreigners. As such, it’s normal for them to behave according to their own habits and traditions. When the ratio of local versus foreign tourists becomes similar to a country such as France – where the percentage of local tourists is larger than that of foreign tourists – then the majority may impose their habits and the tourists’ behaviors will change. Why don’t Egyptians go to Sharm El Sheikh? It is because they don’t have the financial ability. When it becomes possible for all Egyptians to visit places like Hurgada or Sharm El Sheikh, we won’t have a crisis in tourism. We also won’t allow extremists to reduce the idea of tourism to a glass of wine and a bathing suit; as if this is our greatest problem. If you were elected president and the parliament decided all Muslim women should wear the veil in schools or decided to segregate girls and boys at schools and universities, what would you do? If the people elect this parliament, then it’s their choice. But I would ask the people “why would you choose this parliament that imposes religious matters outside of its competence?” Even so, I will side with the people because they chose this parliament by their own will. I will turn the matter over to the constitutional court, since according to the second article in the constitution, the principles of Islamic law are the main principles for legislation and God gave people the right to believe or not to believe. As such, it’s not their right to force women to wear the veil or not. But I believe Egyptians will never choose such a parliament. I need to comfort the Egyptians through your magazine that we will not create a new Islam in Egypt. Egypt has been an Islamic country for 25 centuries and the Egyptians were never forced to be religious. Egyptians are naturally very religious and love God and his Prophet. They love the Quran and the Bible. Egyptians know how to reach God without the help of a government or a president We have the great institution of Al Azhar, which helps Egyptians with love, respect and mercy and teaches them how to reach God. My guess is that these concerns come from people who want to stop democratic change by propagating that unstable people will enter the parliament and enforce strange rules, so you’d better rescue yourself and stop the democratic change. But this will not happen. Some Christians say they don’t have a place in Egypt, so they’ll leave to Canada! Why would you leave your country? Egypt is your home. You should be proud. You must fight for its continuance and development. It’s a disgrace for any Egyptian – Christian or Muslim – to say that they’ll leave their country. Leave the country to whom? Even after the revolution we still suffer from corruption. You once said that corruption in the Egyptian public sector runs very deep. If elected, how would you deal with this? First, I would establish an independent judiciary. This is the first tool in fighting corruption because in case of wrong doing, we must turn to the courts. If the courts are corrupt or are not independent, then who will give citizens their rights? That’s why I said the second pillar in our program is to have a country of laws where everyone is equal before the law. The second tool is legislating laws to fight corruption. A free and independent media is also a tool in the fight against corruption. Regarding economics, do you consider yourself a socialist? If we must use these names, then I consider myself to be a prince of liberal socialism who also encourages the private sector. You voted ‘no’ in the March referendum on the amendments to the constitution. You also said that you prefer parliamentary elections to be on individual basis and not according to lists. Why? The philosophy of voting for lists is primarily based on parties having programs. Lists are made for parties and the parties must have programs. The political parties in Egypt are still too weak to develop their own lists. How can you bring a leftist, a liberal, an Islamist and a Salafi and combine all of these in one list? This list will not represent a particular program. No, they are afraid that the banned National Democratic Party will participate or that its former members will be present on the parties’ lists. Four political parties have been established out of the old National Democratic Party, so they’ll definitely enter. The solution to this problem is to activate the political corruption (Al Ghadr) law which already exists in our political system but is not applied. It’s my guess that those who have the authority to issue this law don’t want it to be applied. Some people are suggesting the enactment of a new law to deal with this political corruption. I don’t understand the idea behind issuing a new law. How will it be applied? No law can be applied retrospectively. If they really want to prevent corrupt people from entering the parliament, they need to activate the already existing law. It can be applied through the courts to ensure it is applied fairly. Are they talking about this law just to calm people down? They are talking about it to absorb people’s anger. But what’s right is to activate the Al Ghadr law and to apply it through the courts. If we really respect the revolution and the martyrs, and if we really don’t want those who were politically corrupt coming into the parliament, then we must activate it. The Egyptian bureaucracy can’t look the same before and after the revolution. It must perform in a revolutionary way that meets people’s demands in the quickest way possible. We also don’t have a functioning police force. And we have elections with a lot of problems, and all the political powers are fighting. Do you think that the upcoming elections will pass safely? They will pass safely for sure because falling into chaos and violence will be a disgrace for the military council. No one will vote if they feel their life is in danger. I don’t believe vote rigging will take place in the elections because people are very eager to vote; they insist on voting, so they will be the ones protecting the elections. The powers of the president are yet to be determined by a new constitution. If the presidential powers are severely reduced, like those in Germany for instance, what will you do? If this happens, I won’t pursue the presidency. My goal is to serve my country, not to gain a position. So if the position of president becomes ceremonial, I won’t nominate myself. But I am against a parliamentary system in Egypt for now. In my opinion, Egypt needs to transition from a corrupt system to one with a president who has the power to achieve democracy. That’s why I personally prefer a mixed system in which executive authority is divided between the president and a government elected by the majority in parliament. This would be best for Egypt until the parties become stronger and we have more than one strong party. The danger of a presidential system is that it may lead to having a dictator and the danger of a parliamentary system is that it may lead to despotism by the majority. That’s why the mixed system is the best system for Egypt now. Yes, it is better this way but it won’t happen. The referendum was done, and it was decided that the president will appoint a vice president after he is elected. In my case, I would choose someone young to represent the new generation. A lot of people believe the army will not allow a civilian president to interfere in its budget or to appoint a chief of staff? The army shouldn’t be separate from the country. What’s happening in the rest of world will eventually happen in Egypt. The Egyptian parliament has the right to supervise all institutions. While we are committed to keeping military issues confidential, we don’t want to create a system that doesn’t exist anywhere in the democratic world. In my opinion, the minister of the interior must be a civilian and the police force must be independent. Having a civilian as minister of interior would quell abuses committed by the police. This is the case in a lot of countries. Even the minister of defense in many countries is a civilian, because his duty is to carry out policies. He is not a military leader. The commander at war must be a soldier; the leader of the police must be from the police; but the minister makes policies, so he should be a civilian. And are any of your children involved in political activities? All six of my children, girls and boys alike, are involved in political activities. They are all college graduates and have been involved in political activities since they were in college. Finally, it has been written on Facebook and Twitter that writer Belal Fadl thinks you and Dr. Mohamed ElBaradei are the presidential dream team; what do you say about that? What do you love most about Egypt? The tolerance of Egyptians. Egyptians are very moderate. And very kind. I love Egypt because Egyptians are the way they are. What do you dislike most about Egypt and what do you wish you could change? I dislike it when people are careless; it is a habit of some Egyptians. I also dislike the lack of seriousness. Maybe 60 years of dictatorship and corruption instilled some bad attitudes in Egyptians. We hope things can be reformed after the revolution. I think you can answer that, not me! Ok, what is your biggest weakness? I am against any kind of violence. I refuse even moral violence. This is based on the values and principles I learned from Islam. I’m worried about the continuation of the Supreme Council of the Armed Forces (SCAF) in power, and I’m worried that our path towards democracy after the revolution may be derailed. I hope everything will proceed as we want it to following the revolution. And what do you worry about personally? I hope to be able to continue my struggle for democracy, humanity and justice. I hope never to experience a feeling of hopelessness or become dissatisfied with the results of my struggles. I admire a lot of people who passed away like Omar Al Telmesany and Mohammed Al Ghazaly. From the present day, I admire Tarek Al Bishry and many others. What is the one thing that you can’t travel without? If there was a book written about your life what would its title be? How to Love Egypt or How to Love the Egyptians. If the story of your life was made into a movie, who would you like to play your part? When you are not thinking about politics what do you do in your free time? I like to play with my grandchildren. Being a Sufi, I have a good relationship with God, so I am always happy, thank God.